Monirul Kabir is Country Consultant for Google Bangladesh. 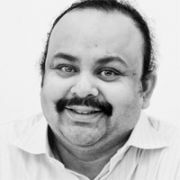 Prior to this, Monirul Kabir was the Chief Communications Officer for Grameenphone Ltd, responsible for maintaining brand integrity in the community and media. Through Monirul's leadership, Grameenphone won the Telenor Best Brand award for the first time in 13 years and the organization achieved the top rank in the Ad Likability ratings in the Brand Tracker & Equity surveys during 2010-11, the first since the rebranding of the company. Monirul hopes to help lead the change of advertising in Bangladesh from an “inside-out approach” to one that includes openness, information exchange and engagement in creative expressions.